I think it’s safe to say, by the end of the holiday season, we’ve racked up a ton of gift cards. Whether that be a Sephora, mall or VISA gift card, we all have some extra cash to spend. While one might save it for 2019, this is actually the perfect time to cash in those cards. 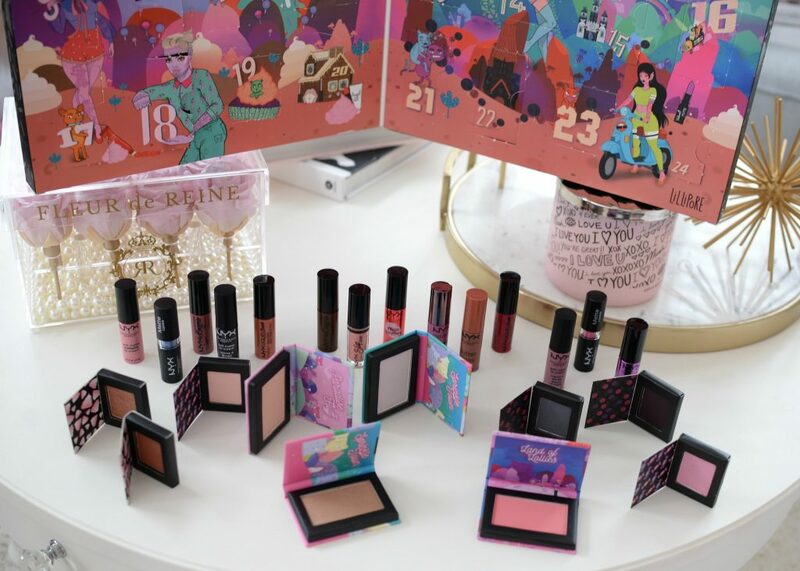 Brands and businesses are having major Boxing Week sales, where you not only save money, but can get some amazing gift sets that save you even more. 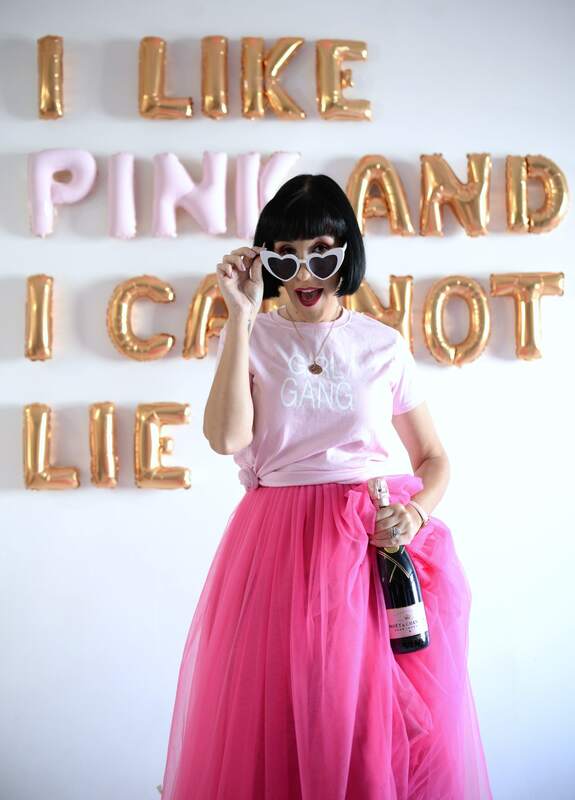 Today, I’m sharing some of my fave products, that just so happen to be on sale. 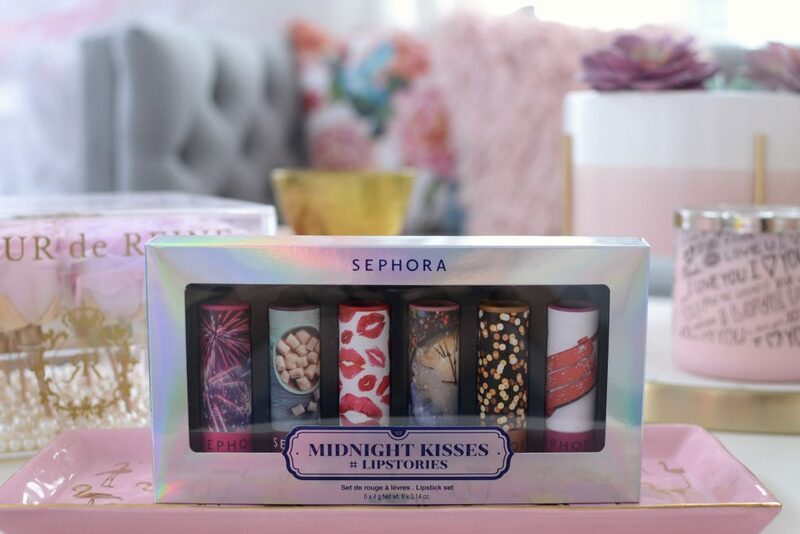 For all my lipstick lovers, the Sephora Midnight Kisses #Lipstories Set features an array of full-size Lipstories’ lipsticks that are perfect for all occasions. 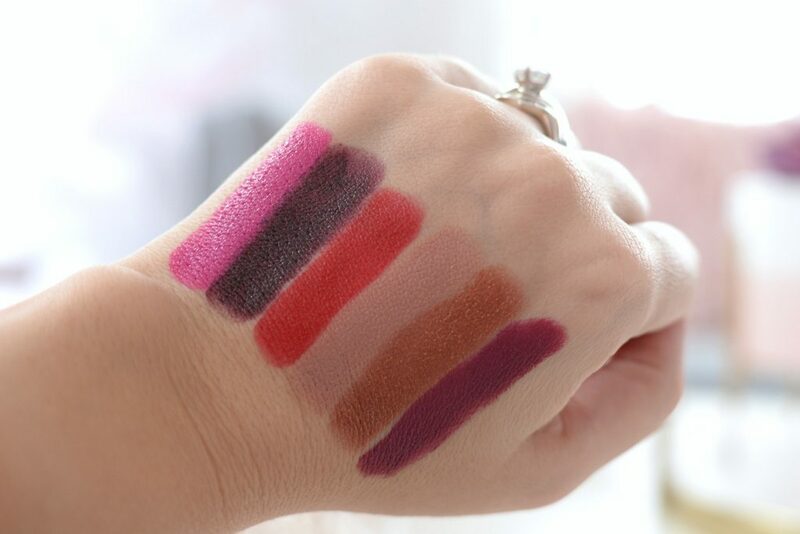 From mattes, satins and metallics, in classic reds, universally flattering nudes, bold pops of magenta, bronzes and deep berries, this set will be sure to keep your lips looking fabulous all the way into 2019. Its rich and creamy formula is intensely pigmented, achieving a bold pop of colour in a single swipe. Its ultra-hydrating formula ensures lips look and feel nourished and moisturized all day long. It stays put for several hours, and as it slowly starts to fade, it stays even and smooth. 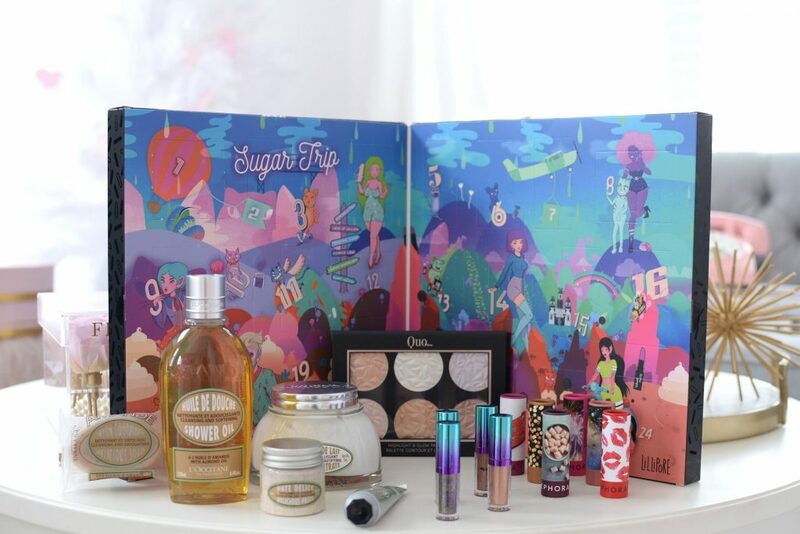 So whether you’re feeling adventurous, or looking for that perfect every day shade, this kit has you covered. It’s on sale for $24 but comes with a $63 value. It’s no secret that I love a little glitter, in fact, it shouldn’t just be saved for the holiday season. 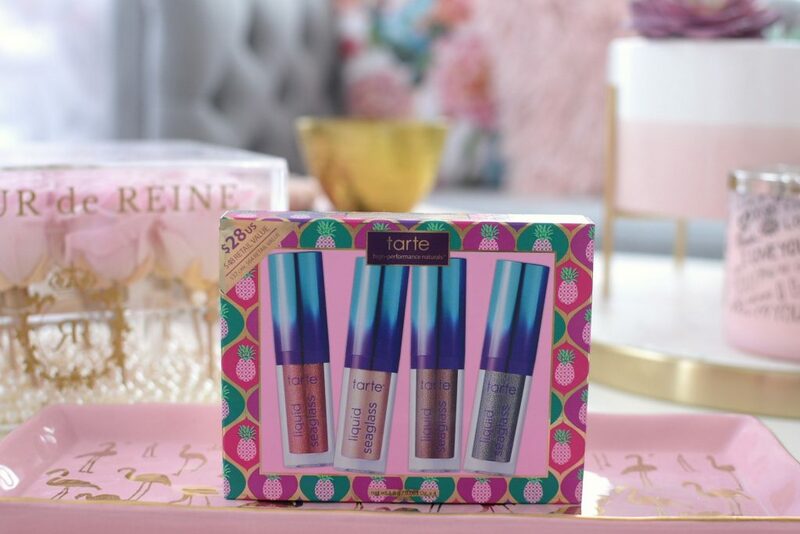 The tarte Mermaid Shine Metallic Seaglass Eyeshadow Set features 4 metallic, liquid-to-powder eyeshadows that are sure to add a splash of colour and shine to your eyes. Not only are they infused with vitamin E and marine plant extract to help reduce the appearance of fine lines and wrinkles, it also helps to soften and smooth the skin. It’s the perfect way to add a pop of sparkle or enhance a look without full-on shimmer and shine. These wearable glittery shadows instantly create at real-life “wow” factor. 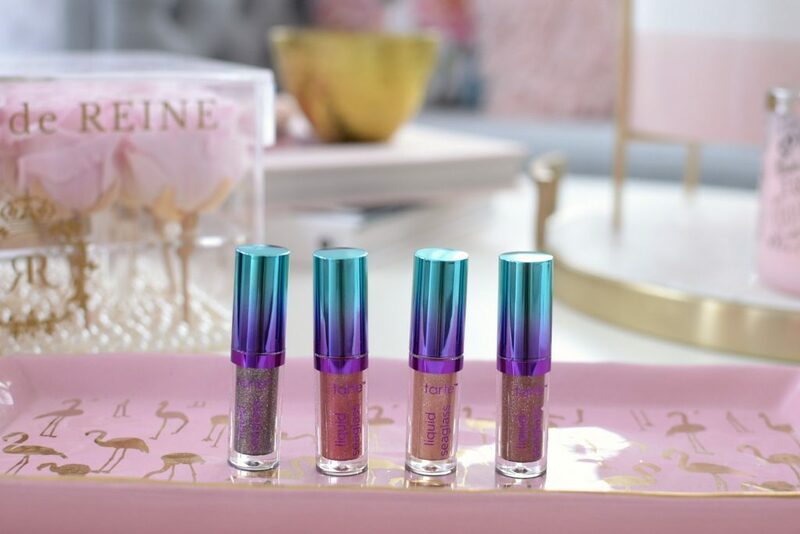 No matter if you add them overtop of your fave neutral eyeshadow, for an extra pop of sparkle, or on their own for full-on shimmer and shine, these are extremely wearable for glitter eyeshadows. It retails for $37 but comes with a $64 value. If you know anything about L’Occitane, you know they make extremely high-end skincare products. 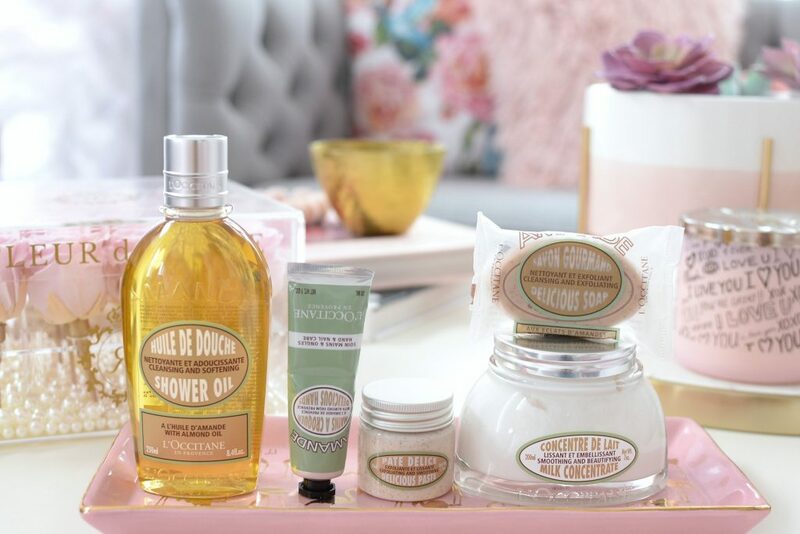 The brand’s Almond Collection is a personal fave thanks to its delicious almond scent. The Almond Collection not only is infused with almonds, sustainably-sourced from the south of France, but it contains everything you need to keep your skin healthy, hydrated and happy all winter long. The set includes a hydrating Almond Shower Oil to get your body squeaky-clean, an Almond Milk Concentrate to keep your entire body moisturized, an Almond Delicious Hands that’s perfect for nourishing your hands mid-day, an Almond Delicious Paste on days when your skin is feeling extra dehydrated and an Almond Delicious Soap that’s perfect to leave out for guest. 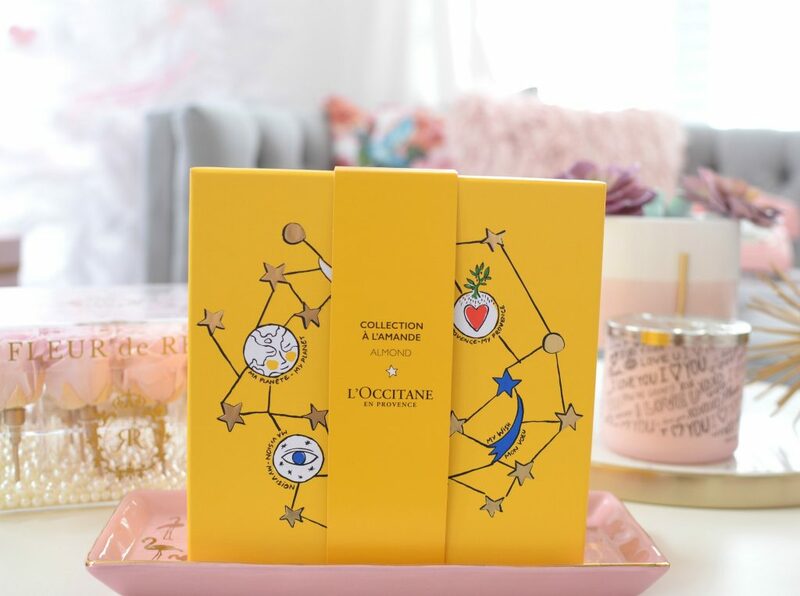 It comes beautifully packaged in a L’Occitane x Castelbajac Paris Yellow Gift Box. It’s on sale for $79, but originally retails for $119. 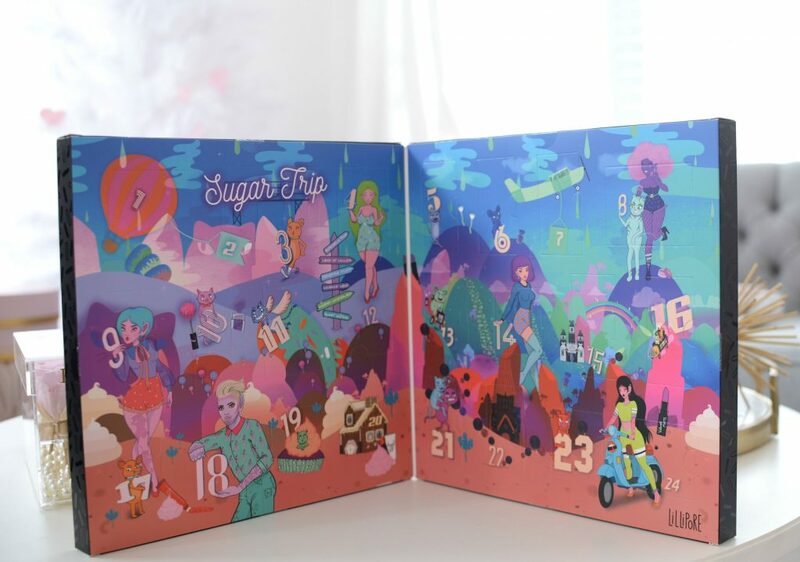 Although traditionally used to count down the days till Christmas, it doesn’t mean you can’t have fun with an advent calendar in the new year. 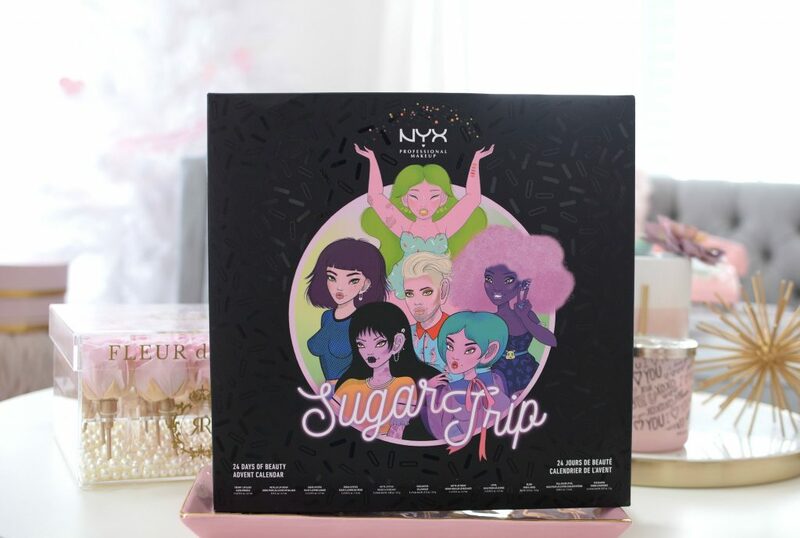 The NYX Sugar Trip 24 Days of Beauty Advent Calendar features 24 mini lipsticks, shadows, highlights and blushes behind 24 pop-open doors. 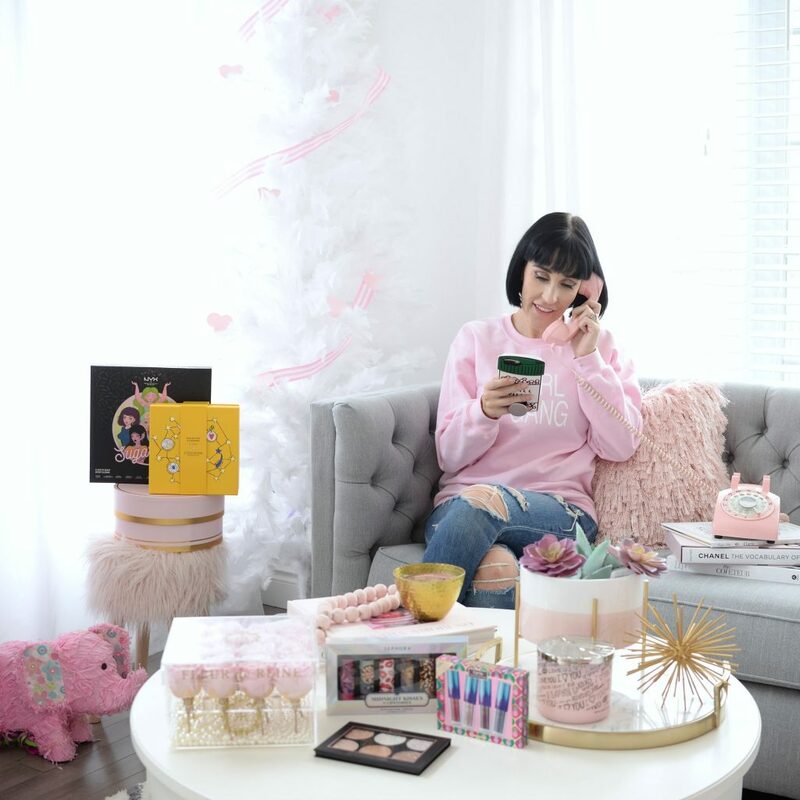 Have fun in January pulling back the tabs and releveling fan-fave formulas that will make all your makeup dreams come true. 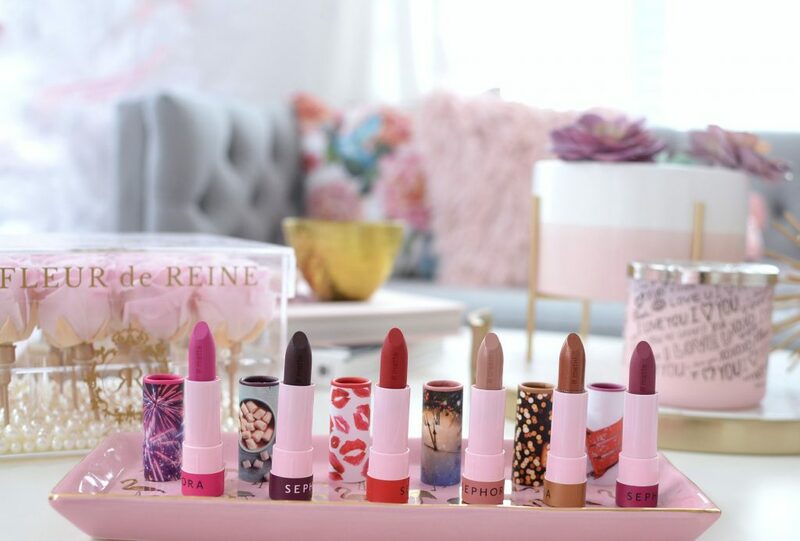 From their iconic soft matte lip creams and butter glosses, to pigmented and blendable powders, you never know what you’re going to get. It’s on sale for 50% off right now, retailing for only $37.50. 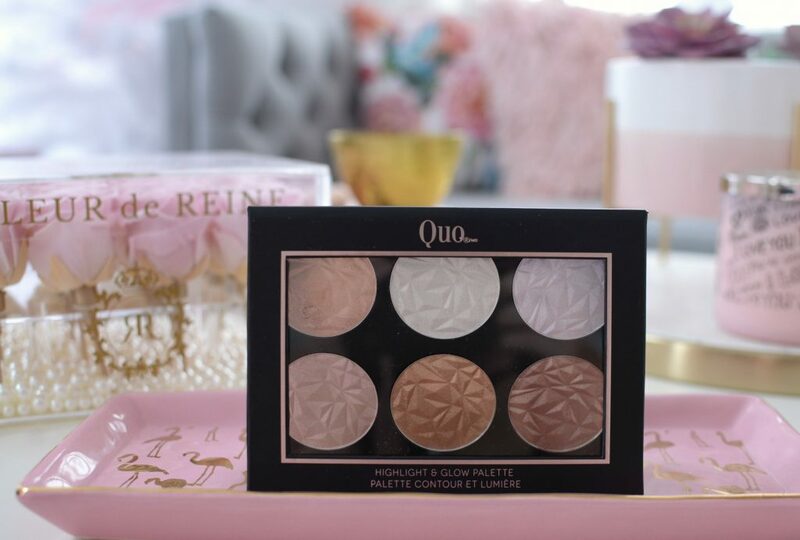 Quo is already an affordable makeup brand, found exclusively at Shoppers Drug Mart, but when it goes on sale, it’s like they’re paying us to take the product. 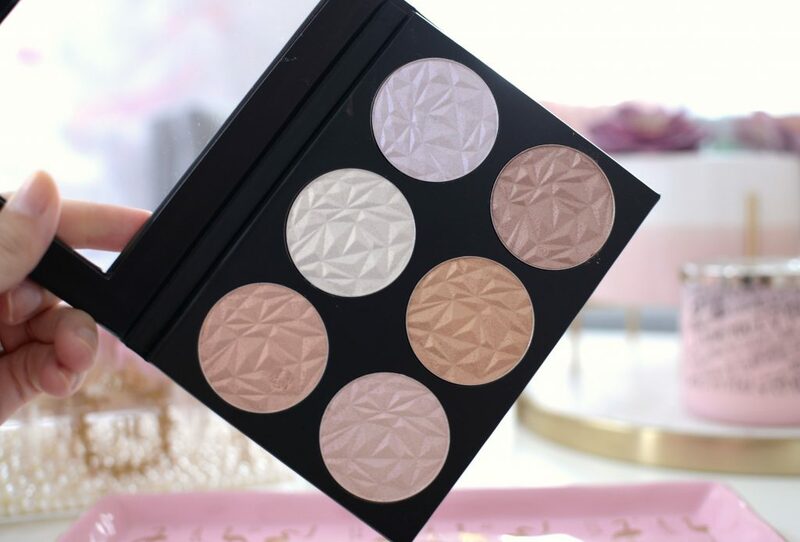 The Quo Highlight & Glow Palette features 6 extremely intense and pigmented pressed highlighting powders in an array of shimmery shades. Its incredibly silky, velvety smooth formula almost melts into the skin for an instant brightening effect. You can easily fake a radiant, healthy and glowing complexion without a ton of shimmer and fallout. When applied with a light hand, you can easily lift, brighten and improve the overall look of dull, tired skin. All 6 shades are universally flattering and a sure way to add luminosity to the skin, while still looking extremely natural. It’s on sale for $12.49, regular price $25.